There is nothing better than faster, reliable, and trustworthy Kodi addons for sports for watching your favorite sports activities. English Premier League just started and many folks watching it through Kodi and their favorite VPN because Kodi VPN protected their identity and allowed them to enjoy live EPL matches. But, the sports events are a never ending one. And, many more are just around the corner. In this post, we will be focusing on these top class kodi addons to watch world cups, and Olympics right from the comfort of home. So, without further wait, here is a list of the best Kodi addon’s for watching your favorite sports event. 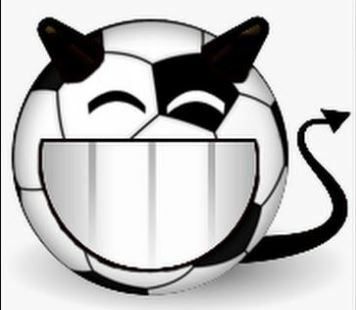 Known as the devil addon, SportsDevil is known for its quick connectivity and seamless installation and getting started process. In fact, you can easily find the sports categories through the menus. If you are a fan of sports, then this plugin is worth checking out. If you face any issue you can fix sportsdevil not working error with our guide. Love streaming NFL games? 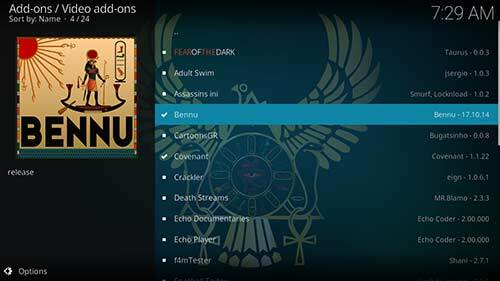 The Bennu NFL Kodi addon is for you. It works flawlessly in places where other kodi plugins give up such as USTV Now. Bennu will fill in the gap and offer you quality watch, while keeping your anonymity and providing you a joyful experience. Just install and start streaming games. Bob Unleashed is one of the best Kodi addon for sports to stream any kind of live sports event including Football, UFC championships, NFL basketball matches, or even movies. 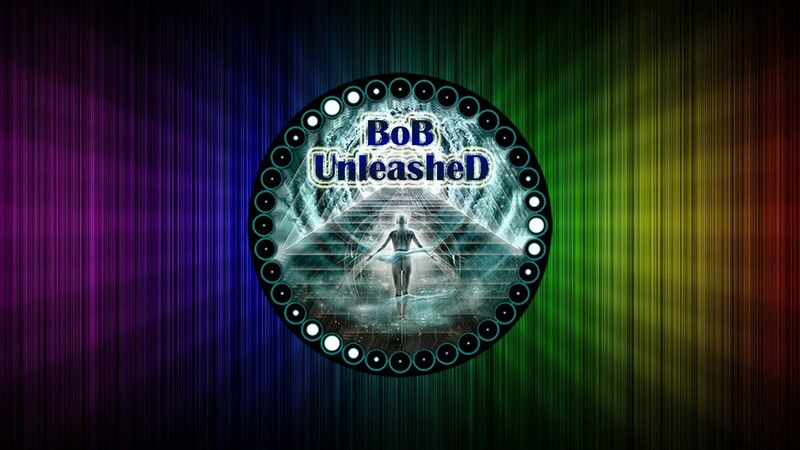 Simply install Bob unleashed on your favorite Kodi version and start live streaming. Check this guide if BoB Unleashed not working on kodi for you. The cCloud TV plugin makes a list of the top channels available. This means you aren’t restricted to the content available in your country but can watch content from other countries as well. And, to watch them anonymously you can tune in by using a VPN software. The cCloud TV is best for watching live streaming events and jamming into news and movies. Pure Sports lets you watch your favorite sports through a well-organized channel list. Whether you want to watch NBA, NFL, FIFA, UFC, Cricket, or even Boxing, it offers a complete section for each one of them. The cherry on top? You can easily select your favorite category from its long list of channels. It is similar to other Sports addon but where it stands out is its repository: http://archive.org/download/purerepo. iPlayer WWW is a Kodi addon by BBC. It offers top TV shows being streamed by BBC news. You can watch sports events being aired in UK. And, you can also watch your favorite TV series such as Top Gear, Doctor Who, and many more. Sports World Kodi addon for sports events offers live football match streaming from their home grounds. It has a nice interface that offers various categories of sports, each with their own detailed charts. You can watch football championships, NFL basketball matches and so on. Channel Pear isn’t just dedicated to sports. You can use it for any channels of your choice. The channel pear addon is completely empty on installation. You will have to add channels from the list available on this addon’s website. Select any sports channel to watch live stream and it will automatically sync it to your Kodi software. Elektra Vault addon is dedicated to watching live sports events and matches. It has a separate section for live matches and is frequently updated with new shows. You can also see the highlights if you have missed any quality football matches through this addon. Skynet Kodi is another sports live streaming addon for Kodi version 17. It is more of a live sports portal because it has access to almost all sports channels. You just have to install the addon and start streaming a channel of your choice. You can also watch free movies through Skynet. It is part of the Maverick repository and works great with a VPN. StreamHub is not an addon but a repository. It comes with a built-in addon that offers live TV channels. The Streamhub repository is a replacement of the famous Live Hub Kodi addon. It requires a Kodi VPN to stream channels anonymously. But once you have the VPN in place, you can easily stream any channels restricted in your country. Planet MMA, formally UFC Finest, is a pay per view fight channel that lets you watch matches, highlights of matches, and face offs of various players. The addon is great for watching HD versions of the footage. It was zoned out for a while but is now back and worth a watch. Rising Tides is an incredibly popular addon that offers tons of sports channels to choose from. It isn’t the best in the market but offers HD quality channels for watching sports matches and movies. You can subscribe to the Rising tides channels’ by simply turning on the channel 30 minutes before the start of the event. Hallow Live TV kodi football addon offers soccer and football match streaming. It works for matches from around the world. The addon comes with a simple to use interface and users can easily select the game they want to watch. It is recommended to use a Kodi VPN software to keep anonymity while watching games with Halllow Live TV. Next we have DC Sports another excellent Kodi plugin that offers live football events for viewers. The DC sports channel offers 47+ channels to watch HD sports matches and events. The addon also offers sections for World of Sports, PVV Events, and football matches on demand. WWE on Demand is the most prominent kodi addon to watch WWE and UFC matches on Kodi. The good thing about this addon is that it constantly offers new updates and channels. Viewers can easily watch latest wrestling matches and even get content on demand. Next we have Bob Unleashed, a free Kodi addon that offers free wrestling and UFC matches. It also provides a collection of music videos and HD movies that the viewers can tune into by selecting the channels of their choice. The addon works great with Kodi Krypton. That’s it. These are the top kodi addons for sports matches. Following is the list working kodi addons for Movies, TV shows, Sports etc. This list is for those people who keep saying Kodi is dead.